The essays in this collection are concerned with the construction of memories and public histories. They explore the processes and dynamics that shape the ways in which Africa and its Diasporas have been historicized outside of the academy. 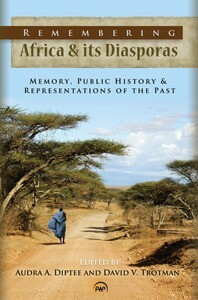 The chapters focus on the public presentation of the imagined past of Africa, and of the uses of that past both within Africa and in the numerous African Diasporas created by the historical and contemporary movement of Africans outside of Africa under a variety of circumstances.